Mount Buller is a town located in the Shire of Mansfield in the Alpine region of the Australian state of Victoria. To find more things to do, ratings, and tourist information, you can read our Mount Buller itinerary maker. Singapore, Singapore to Mount Buller is an approximately 14.5-hour flight. The time zone difference when traveling from Singapore to Mount Buller is 2 hours. Wrap up your sightseeing on the 1st (Mon) early enough to travel to Cowes. On the 1st (Mon), do a tasting at Phillip Island Vineyard & Winery, then see the world from above with a helicopter tour, then do a tasting at Purple Hen Winery, and finally relax and rejuvenate at some of the top local wellness centers. To see maps, reviews, more things to do, and tourist information, you can read our Cowes vacation planner. The Route module can help you plan travel from Mount Buller to Cowes. May in Cowes sees daily highs of 20°C and lows of 6°C at night. Finish up your sightseeing early on the 2nd (Tue) so you can travel to Torquay. To see traveler tips, more things to do, where to stay, and more tourist information, read Torquay custom trip planner. Use the Route module to find suitable travel options from Cowes to Torquay. Expect a daytime high around 20°C in May, and nighttime lows around 8°C. Wrap up your sightseeing by early afternoon on the 2nd (Tue) to allow time for travel to Port Campbell. Port Campbell is a coastal town in Victoria, Australia. To find reviews, more things to do, ratings, and other tourist information, go to the Port Campbell sightseeing planner. The Route module can help you plan travel from Torquay to Port Campbell. You'll set off for Flinders on the 3rd (Wed). Flinders once known as Mendi-Moke, is a town south of Melbourne, Victoria, Australia, located on the Mornington Peninsula at the point where Western Port meets Bass Strait. To find reviews, traveler tips, where to stay, and more tourist information, go to the Flinders travel itinerary planner. Explore your travel options from Port Campbell to Flinders with the Route module. May in Flinders sees daily highs of 20°C and lows of 8°C at night. On the 3rd (Wed), you'll have the morning to explore before heading off to St Kilda. St Kilda is an inner suburb (neighbourhood) of the metropolitan area of Melbourne, Victoria, Australia, 6 km south-east of Melbourne's Central Business District. Kick off your visit on the 3rd (Wed): tour the pleasant surroundings at Caulfield Park and then look for gifts at Davey Mac's. For traveler tips, photos, reviews, and other tourist information, use the St Kilda itinerary builder. Use the Route module to find suitable travel options from Flinders to St Kilda. In May, daytime highs in St Kilda are 19°C, while nighttime lows are 9°C. Finish up your sightseeing early on the 3rd (Wed) so you can go by car to Melbourne. You'll discover tucked-away gems like Lake Daylesford and Convent Gallery. 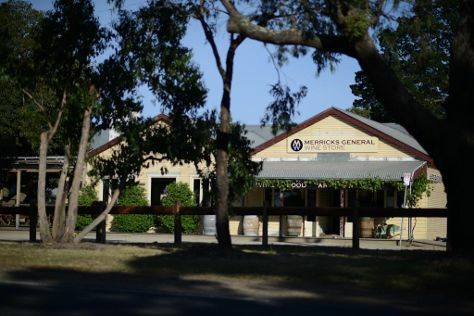 Explore the numerous day-trip ideas around Melbourne: Werribee River Park (in Werribee), St Anne's Winery (in Bacchus Marsh), Wombat Hill Botanical Gardens (in Daylesford) and Woodend (Hanging Rock Reserve & Woodend Children's Park). The adventure continues: see the interesting displays at National Sports Museum, stroll through Albert Park, learn insider's secrets on a distillery tour, and steep yourself in history at Cooks' Cottage. For where to stay, photos, ratings, and other tourist information, go to the Melbourne trip planner. Melbourne is very close to St Kilda. Expect a daytime high around 19°C in May, and nighttime lows around 9°C. On the 9th (Tue), you'll have the morning to explore before heading back home.